Here is our new Creative Studio ! 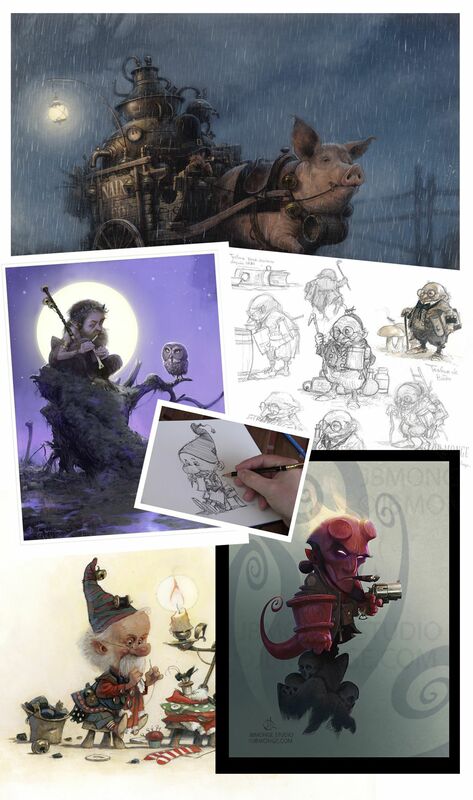 My name is Jean-Baptiste Monge, I'm an Illustrator, Author, Character Designer, and Art Director based in the Area of Montreal. I Have over 20 years of professional experience working with traditional and digital in various fields of the Publishing and Animation entertainment industry. I work as Senior Freelancer and consultant for animation movies and games in Character Design, Concept Art, Color experience and more. But First of all I am a picture maker and my Heart is truly turned toward Illustration, painting and books, so I continue my adventure as an illustrator. I am living with my wife Margo and my two cats Banana and Minus in Canada in the Laurentides, but I grew up, in Britany (France), with Tales and Legends of the Celtic World. So with my Briton roots, it is not astonishing if my favourite and main subjects are Faery and Fantasy universes. Painting and Sculpting is like breathing air for me and I hope that I can inspire, help and share all my experience through Patreon. 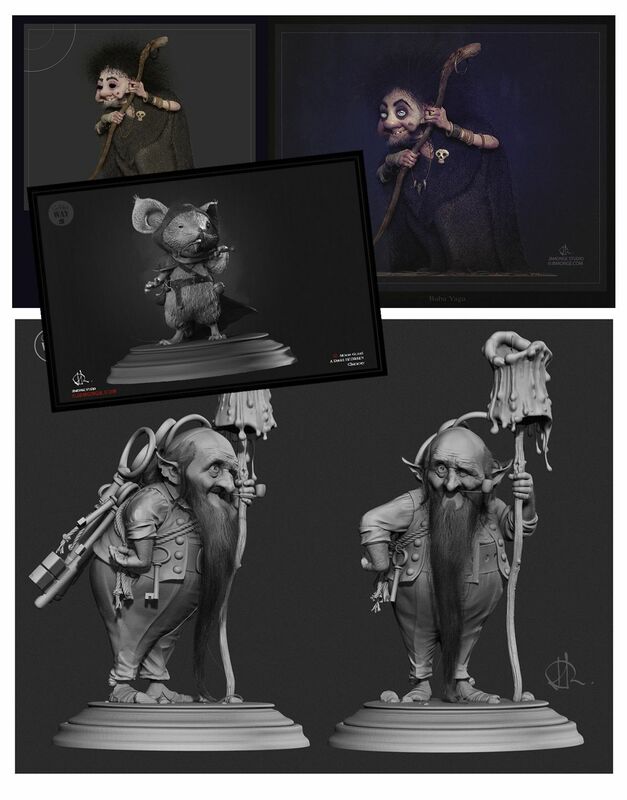 My Goal is to share my knowledge, inspire my supporters and to develop a special contact with you to make the learning process as easy and excited as possible by helping you to improve your own art, to level up your skills, to discover character design, painting techniques and answer at all the questions that you have on the adventure to be an Illustrator or a Character Designer, because that is one of the biggest and passionating adventure that I know. And of course with your support, making new products and new pictures (translations, prints, books...) and developing my own publishing house with my beloved wife Margo, for keeping my Art Freedom and offer you the Best of my Imagination. Here, you are not just Fans you are a part of my Family ! Just choose what you think most appropriate to your level and budget and if you decide to become one of my Patrons, the links to the digital rewards (pictures, videos, reviews etc.) will be posted in the Patreon Creator's Feed along with any other information. And if it is your first time in Patreon may be you will appreciate to read the following FAQ. 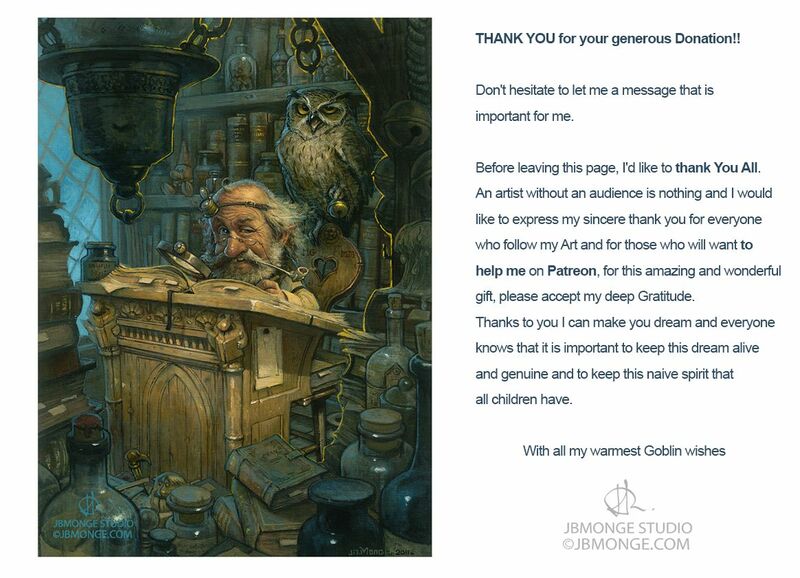 Becoming a patron is very simple and you can adjust your pledge whenever you want! Cool! You can sign up using my affiliate code and then we both'll get rewarded from our website overlords! Important note: you can adjust your pledge at ANYTIME to fit best to your wishes. This Patreon page is always evolving, I'm trying to understand how interact with you for the Best. 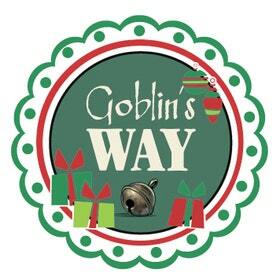 I will be adding reward tiers and expanding as I go along. Adding if it will be possible, mentoring, workshop and Google Hangout sessions with you as well... And because it's YOU that makes this possible. BiG Thank YOU! Thank you so much for Your unconditional support! I love you Guys! You are officially a Fairy-Patron of my WORLD! Early access to each news, Q & A, WIP and finished illustrations and of course my sincere thank you for supporting my work. Your name on my Facebook fan page as my official supporter! Thank YOU Buddies, You are Tiny but Amazing! You have the perfect size to enter my burrow and take a look over my shoulder! You are Awesome! Thousand Thank you ! You are a TRUE Fairy Friend and an Extravagant !